MEGA Brands Inc. announced today that it has entered into a global multi-year licensing agreement with Electronic Arts Inc. to develop construction toys based on Need for Speed™, the world’s best-selling racing video game franchise. Mega Bloks Need for Speed construction toy sets will combine the engaging and immersive content of this award-winning franchise with the core play pattern of building vehicles. Launching Summer 2011, the Mega Bloks Need for Speed construction toy line will appeal to building fans and collectors alike with authentic vehicles and playsets that offer endless possibilities to build, race, customize and display. Need for Speed is a global brand and with 17 titles and more than 110 million copies sold worldwide is the dominant racing video game franchise. 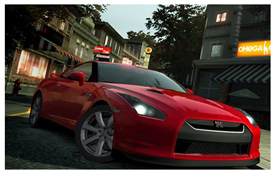 Need for Speed is known for delivering unparalleled white-knuckle racing, creative customization and street style. The Need for Speed series has generated nearly $3B in life-to-date sales and has become a powerful pop culture phenomenon. MEGA Brands will also be holding an Open House for designers this Thursday, December 2nd. As one of the largest design centres in Quebec, MEGA Brands is always searching for new talent to design and conceptualize new construction toys and activities for their leading brands. MEGA Brands is presently seeking applicants who are creative, passionate and innovative for the following positions: Graphic Designers, Web Designers, Industrial Designers, Model Designers, and 3D Artists. Designers will have an opportunity to learn more about this Montreal-based toy company and the exciting job opportunities they have to offer. Rockstar Games, Take-Two Interactive Software, Inc. and TransGaming, Inc. have released the critically acclaimed Grand Theft Auto Trilogy for the Macintosh. 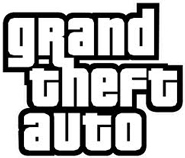 The Grand Theft Auto Trilogy revisits the classic entries of the series and includes Grand Theft Auto III, Grand Theft Auto: San Andreas, and Grand Theft Auto: Vice City. The Grand Theft Auto Trilogy is available via TransGaming’s GameTreeMac.com Mac gaming portal for 30 days starting today and at retailers across Europe. It will be available at retail in North America starting November 22. 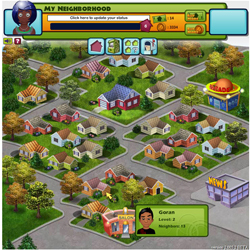 Grand Theft Auto III introduced a 3-dimensional Liberty City and a completely open and interactive world, filled with hidden challenges and innovative 3D gameplay. 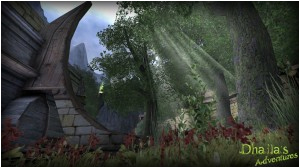 The immense map offered players a scope and depth never before seen in games. Grand Theft Auto: Vice City took a trip back in time and revisited the 1980s, complete with the era’s unique fashion and classic pop music. Grand Theft Auto: Vice City follows Tommy Vercetti, as he attempts to navigate the city’s tropical environment rife with gangsters and other seedy citizens. 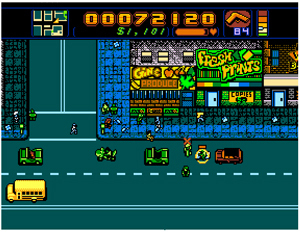 Grand Theft Auto: San Andreas introduced San Andreas, the largest map of the series, which boasts three enormous cities. The narrative explores the life of Carl Johnson as he returns home to San Andreas after learning of the mysterious events surrounding a death in the family. All three games feature thrilling, deep narratives, acerbic and witty dialogue, a cast of superbly voiced characters, a fleet of vehicles, and hours of music through in-game radio stations ranging from reggae, 80s pop, disco and hip-hop. Capcom and Blue Castle Games are happy to announce that its recently released downloadable title, Dead Rising 2: Case Zero, has broken all records on Xbox LIVE with the best week one unit sales in the history of all content distributed through Xbox LIVE Arcade. The prologue to the highly-anticipated Dead Rising 2, Dead Rising 2: Case Zero, launched last week as a unique piece of downloadable content exclusively for Xbox LIVE Arcade. A standalone title that helps bridge the gap between the original Dead Rising and the soon-to-be-released Dead Rising 2, it allows fans a taste of the new Dead Rising world on Xbox 360. Dead Rising 2: Case Zero is now available exclusively to download on Xbox LIVE Arcade. Dead Rising 2 will launch on the Xbox 360, PlayStation 3 and PC on September 28, 2010. EA Black Box has announced that Need for Speed™ World, the massively multiplayer online action racing game, has surpassed one million registered users. In the coming weeks and months, Need for Speed World will be adding new features and game-expanding content including more cars, deep performance customization, a new world region and a co-op pursuit mode. Starting today, all players will have full access to Need for Speed World for free (see site for details). Racers can play the entire game at no cost or can purchase SpeedBoost items to accelerate their career progression including items like power-ups, double XP periods and even rental cars. Every player can now feel the rush of illicit street racing as they speed their way through an immersive, socially-connected Need for Speed experience. 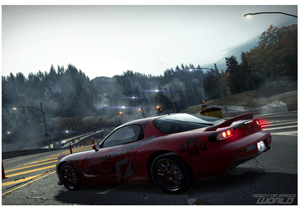 Need for Speed World brings together best in class action racing with an unparalleled social experience for the PC. Players can compete against their friends, family or pick from thousands of top ranked players to challenge in intense online battles and police pursuits. Gamers race the way they want in an ever expanding world that continues to grow with a constant stream of new content, cars, and features. EA Black Box and Dolby Laboratories, Inc. today announced that Need for Speed™ World, the massively multiplayer online action racing game will incorporate Dolby® Axon voice chat technology before the December holiday season. Need for Speed World combines the rush of illicit street racing, deep RPG style progression, and vehicle customization into an immersive, socially connected experience. The game will be featured at the Penny Arcade Expo in Dolby’s booth, number 612. Hothead Games is also down at PAX, featuring their two latest video games at the Penny Arcade Expo. You will find them giving hourly live game play demos of Swarm and DeathSpank: Thongs of Virtue at their Sky 1 booth on the sky bridge. Hothead’s PAX booth will also contain kiosks where show attendees can play the newest DeathSpank adventure and enter to win a number of prizes including limited edition Hothead merchandise. DeathSpank: Thongs of Virtue is Hothead’s all new rapid-fire action-RPG game and is the perfect companion to Hothead’s original hit game DeathSpank that launched in July 2010. In the continuing story of venerable hero DeathSpank, players must recover six mystical thongs and bring balance and harmony to the universe. Thongs of Virtue launches on September 21 on PlayStation Network and September 22 on Xbox LIVE Arcade. Swarm is an action platformer like no other. Players control a herd of fifty daft, pudgy and utterly fearless Swarmites, driving them through an intense and often suicidal gauntlet of death and destruction. The game features innovative mass character control, fast-paced action and comic mayhem, offering players a unique experience that will keep them playing again and again. New indie house Wild Games Studio Inc. has announced the title and genre of their first game in production, an open-ended RPG/Adventure game. The game, which will release a trailer in October, will be set in third person view. Dhaila’s Adventures will be a game for PC, Mac, PS3 and Xbox 360, with a playable demo coming soon. Featuring Dhaila, a young fairy whose powers are bound to nature, the game will rely on gameplay taking place in an open world where the player will update the origins of Dhaila and help fulfill her destiny. In addition to the main quest, Dhaila could fill hundreds of side quests depending on the choices and actions proposed. Puzzles and large dungeons filled with traps and monsters will be part of her adventure to enhance the gameplay. Furthermore, Dhaila will be accompanied with a friend that can be controlled by another player to help Dhaila during certain puzzles through teamwork. Orphaned in the fantasy world of Martania, Dhaila possesses unknown extraordinary powers. She has special skills, including one which can absorb the energy of nature directly through its DNA. She can also absorb the DNA of other creatures, making the heroine able to acquire their shape at any time. Living in one of these valleys, the village seems protected by an unknown magical force, more powerful than in other villages. Dhaila will leave to research her origins, while trying to release Martania of the influence of Dysan, a tyrant who has subjugated the people, forcing them to labour under the threat of the dragons he also holds sway over. Selected as one of the glorious PAX 10, Retro City Rampage from VBlank Entertainment will be showcased at PAX Prime this weekend at booth 3017, where visitors can meet the dev team, play the game and get some fantastic swag. * Retro cartridge labels (stick ’em on NES carts)! * Retro game boxes* (stick your cart in it)! * Retro plastic case inserts (with BLURST processing)! *Retro game rental case inserts (“INDESTRUCTIONS”)! As an added Bonus, the team will also be having a daily draw to win a Retro City Rampage cartridge case in the box! The team does caution, however, that due to the indie budget and a recent price increase on Ramen Noodles, the “box” is a cleverly designed and exciting arts and crafts project. Simply cut out and fold it yourself for some analog fun Alternatively, you could frame it and stick it on the wall of your local museum. Capcom will be taking up residence at PAX in Booth 652, where you can drop by and try out their upcoming lineup of titles including Marvel vs. Capcom 3, Okamiden and Blue Castle Games‘ Dead Rising 2 – shipping on September 28. Ubisoft will have three booths at the show. You will find them in spaces 632, 622 and 712. Each booth will feature a variety of Ubisoft’s upcoming releases and lots of fun prizes for booth visitors. For the first time in the U.S., PAX attendees will get to try out various titles from Ubisoft exclusively for Kinect™ for Xbox 360®, including Your Shape™: Fitness Evolved and MotionSports™, in addition to seeing the first public demo of Child of Eden™. Consumers will also get an opportunity to play H.A.W.X® 2 multiplayer, and see a sneak peak of Outland™, one of Ubisoft’s digital games for PlayStation®Network and Xbox LIVE® Arcade for the Xbox 360® video game and entertainment system from Microsoft. In addition, Just Dance® 2 will be available to play onsite at the show. Now you can compete against your Facebook and Twitter friends in the latest release of ApeZone’s SoliScare card game for the iPhone, iPod Touch, and iPad. The new version adds 11 leaderboards and 18 achievements to this already addictive little card game. SoliScare lets you embark on a fantastic journey through graveyards, haunted houses, and spooky castles. Put the beat down on ghosts, zombies, and classic movie monsters in 100 levels of play. Game play follows one simple rule: move monster cards to your hero pile by choosing cards that are one higher or lower than your current hero card. As you make longer card runs, you’ll capture these creatures and add them to your jailhouse. Capture all 37 ghosts, zombies, and monsters to become the new Van Helsing. Ludia Inc., and Sony Pictures Consumer Products announced today that Ludia will create video games based on the hugely popular Pyramid series of television game shows. The licensing deal will result in games across major console platforms, PC/Mac, iPhone/iPod touch and iPad, the first of which games is slated for release in Q1 2011. Pyramid will feature all the favorite elements from the show as the game pits pair against pair in a bid to reach the coveted ‘Winner’s Circle’. Players pick from six categories on the pyramid-shaped game board, and guess a series of words or phrases as described by their team mate. The duo that scores more points than their opposing team wins the match, and gets a shot at the grand prize. Additionally, the Pyramid video games will incorporate thousands of questions, connected gaming elements, single and multiplayer game modes, as well as reward systems to fuel the competitive fun between players. “Pyramid has been a long-standing and successful game show franchise, and we are delighted to work with Ludia to create new opportunities that will bring an engaging entertainment experience to fans of the show,” added Mark Caplan, Vice President Licensing, Sony Pictures Consumer Products. Three of EA Sports’ titles are vying for the top spot in the Golden Joystick Awards. FIFA 10, Skate 3 and 2010 FIFA World Cup South Africa are all in the final run to the top. 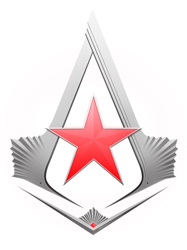 Ubisoft Canada is also competing against itself in the Action Title category, with both Assassin’s Creed 2 and Tom Clancy’s Splinter Cell Conviction in the running. Assassin’s Creed 2: Bonfire of the Vanities and FIFA 10 are finalists for Downloadable Game of the Year while Next Level’s Punch Out!! and EA Sports’ Fight Night Round 4 have entered the ring for Fighting Game of the Year. EA Blackbox is trying to be first over the finish line in the Online Game of the Year with Need For Speed World while franchise twins Assassin’s Creed Bloodlines and Assassin’s Creed Discovery are both in the running for Portable Game of the Year. We have a cross-country showdown going between EA Montreal’s NFS Shift and United Front’s Modnation Racers in the Racing Game of the Year category. Canadian-made video games have been acknowledged the world over as triumphs of their genres; thus it was a real delight to attend Toronto’s Microsoft X10. Held by The Fifth, X10 filled every available space with demonstrations of the Xbox 360’s power to surprise, delight, and thoroughly entertain. 2010 has been a strong year for the Xbox 360, and the holiday season is sure to deliver a grand finale. There are comebacks for many of the console’s best-love franchises, and the debut of the much-talked about Kinect. Canadian offerings for the fall and winter land in both camps-with EA and Ubisoft both making particularly strong showings, and Big Park providing the Kinect with a joyous launch product, great games will arrive this winter from both sides of the border. The doors opened at ten that morning; when I arrived at 10:04, the line still went out the door. The transformation to the club’s interior completely justified the mayhem. EA’s aisle was justifiably packed from sunup to sundown—with three instalments of powerful franchises on display, I was lucky to have the company of both Guillaume Voghel and Dana Sissons, who were eager to share their inside scoops on EA’s releases. Guillaume Voghel is obviously proud of Dead Space 2 — with good reason. Dead Space 2 looks to deliver more in every imaginable way. The borders of the USG Ishimura have fallen away into the Sprawl, a fantastical space city on Titan that stretches into every plane of the screen. Changes have also been made to Mr. Clarke himself. Vancouver game dev industry veterans Brenda Bailey Gershkovitch and Kirsten Forbes have officially announced the formation of Silicon Sisters Interactive, a new Canadian video game company based in Vancouver that will create games for a predominantly female audience. According to the Entertainment Software Association, female gamers are one of the industry’s fastest growing demographics, with women currently accounting for 40% of the overall gaming audience. Silicon Sisters plans to capture and grow this rapidly expanding market by tailoring games to these players’ daily lives and personal interests. Their target customers — women of all ages, from tweens and teens to hard-working women worldwide — comprise an audience that the company’s all-female design staff inherently understands. It’s an objective perfectly suited to the founders’ backgrounds. During their combined 18 years in the industry, both have been vocal champions of female representation among video game developers and audiences. The former COO of Deep Fried Entertainment, Bailey Gershkovitch chairs the Vancouver chapter of Women in Games International (WIGeh) and sits on GDC Canada’s Advisory Board. Forbes, previously an Executive Producer at Radical Entertainment, has delivered eleven top-selling games and is a veteran industry advocate for girl gaming preferences. Silicon Sisters’ predominantly female team, which includes noted designer Brenda Brathwaite as a consultant, is working on two projects for PC and mobile platforms. This summer, company representatives will attend Casual Connect, GDC Europe, and GamesCom to pursue publishing opportunities for their own properties, as well as potential work-for-hire projects that correspond to Silicon Sisters’ corporate vision. TransGaming, Inc. is crossing the Atlantic and entering the European market after securing its first in a number of active agreements to deploy GameTreeTV in the European market before the end of 2010. The first deployment will be with a European Managed Service Operator (MSO) who will begin releasing the new generation of set-top boxes to their subscriber base of multi-millions of households. Financial terms were not disclosed due to confidentiality reasons. TransGaming will be working closely with this MSO over the next few months to prepare for the commercial launch of GameTreeTV, which is currently slated for late 2010. The GameTreeTV Gaming Platform is an on-demand video games service that gives consumers access to high quality games directly from the comfort of their living rooms through any Intel CE Media Processor based device. Consumers will be able to access a broad assortment of well-known, popular arcade, puzzle, family and adventure style games from the growing library at GameTreeTV. TransGaming first unveiled its GameTreeTV platform at the Intel Developer Forum in September last year while announcing a strategic collaboration agreement with Intel Corporation and an investment by Intel Capital. Developers are invited to sign up for TransGaming’s Content Developer Program in order to gain access to their SDK game emulation tools, documentation, and hardware requirements to bring your games direct to consumers through the GameTreeTV Games Platform. Big Blue Bubble Inc. announced today that Home Sweet Home Online, the next evolution in the Home Sweet Home series is released on Facebook. Do you think you have what it takes to be a home decorator? Now you can with Home Sweet Home Online! Build your dream home and show it off to your friends and the rest of the Home Sweet Home users. Home Sweet Home Online gives the player complete freedom when it comes to designing rooms, kitchens and bathrooms. They can paint objects different colors and they are not restricted to a grid when placing items. This freedom combined with thousands of furniture pieces allows the player to create a virtually infinite amount of different rooms! Travel to your friend’s homes to see what ideas they come up with. You can even travel to their friend’s homes and check out what they’ve done. Meet new and interesting people and become an active part of the Home Sweet Home community! Attention Indie Developers – the Indie Fund has just announced that it is now open for business. Get yourself over to their website (after you finish reading today’s news) and check out what is required of you and your project in order to apply for funding from this great group of people who would like to see you succeed. The Indie Fund was created by successful indie developers Jonathan Blow, Kellee Santiago, Ron Carmel, Kyle Gabler, Aaron Isaksen, Nathan Vella and Matthew Wagner. According to the Fund’s web site, it was established as a serious alternative to the traditional publisher funding model. Our aim is to support the growth of games as a medium by helping indie developers get (and stay) financially independent. After eleven years of making PC games, Quebec-based ApeZone has released its first iPhone game, SoliScare. Use the solitaire skills you’ve honed while killing time at work on your Windows PC to whack Zombies, smack Ghosts, and mash Monsters on your iPhone. As you work your way through the game, you will travel to graveyards, haunted castles, and other spooky locations. Put the beat down on things that go bump in the night, collecting all 37 ghosts, zombies, and classic movie monsters by making extraordinary card runs. As your skill level increases, you can unlock 100 unique, hand-crafted levels and use coins to purchase in-game enhancements, giving you a new experience each time you play. SoliScare is available in the iTunes App Store for 99 cents. Frima Studio announced today that the Summer of the PlayStation Mini is officially here with the arrival of Widgets Odyssey on the PlayStation Store in North America for only $1.99 USD. As a PlayStation Mini title, playable on both the PlayStation®3 computer entertainment system and PSP® (PlayStation®Portable) system, Widgets Odyssey takes players on the first of two interstellar puzzle-platforming adventures that will continue in Widgets Odyssey 2, also releasing later this summer. In Widgets Odyssey, five robots aboard their space vessel have just one simple mission: to save the universe from the tyrannical Yagor and his evil henchmen! Armed with the abilities of Spad, Cosmo, Bruce, Helmut, and Monk, players will guide each robot along their exciting adventures filled with puzzles, mazes and minigames. Players can also look forward to the continuing adventures of the ‘S-Space’ crew in Widgets Odyssey 2 when it launches later this summer. Ratrod Studio Inc. is proudly announcing their latest iPhone game title “Drift Mania Championship” which has been developed in collaboration with the official Drift Mania Canadian Championship league (DMCC). This exciting video game will be available worldwide in mid July 2010 for the iPhone and iPod Touch. The game is rated 4+ (for everyone) and can be purchased on the Apple App Store. Already entering its 5th season, DMCC is the only professional drifting series and sanctioning body in Canada developing over 600 drivers, hosting 10 competitions from Vancouver to Quebec and capturing hundreds of thousands of fans every year. Like real drifting, the Drift Mania Championship video game is a combination of driving skills, style and showmanship. It’s all about loss of the rear wheel traction while keeping the race car in total control. Propaganda Studios is at E3 in full force, with both of their currently in-development games being showcased at the Disney Interactive Studios booth. Oh and by the way, Propaganda is hiring. The TRON universe is coming to additional platforms than previous transmissions revealed. Disney Interactive Studios today announced the development of TRON video games for Wii™, Nintendo DS™ and PSP® (PlayStation®Portable) system. These games complete the TRON video game portfolio this year from Disney Interactive Studios, joining the previously announced TRON: Evolution for the Xbox 360® video game and entertainment system from Microsoft, PlayStation®3 computer entertainment system and Windows PC. Set during the era between the two TRON films, TRON: Evolution conveys a story of significant events within the TRON mythology. 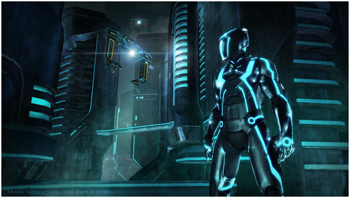 The game features an epic adventure across the massive digital TRON world filled with high-mobility disc-based combat and light cycle action. The TRON: Evolution games will be released in Holiday 2010 before the “TRON: Legacy” film hits theaters on December 17 in Disney Digital 3D™ and IMAX® 3D. TRON Evolution – Battle Grids (Wii), TRON: Evolution (DS) and TRON: Evolution PSP are action packed games set within the combat arenas and mysterious cities of the TRON world. All game versions give fans a unique way to battle and explore the TRON universe alone or with friends and family. The TRON games for Nintendo platforms (TRON: Evolution – Battle Grids for Wii and TRON: Evolution for DS), include games and art styles appropriate for a wide audience, including families and kids. While Propaganda is the primary developer, the studio has partnered with n-Space Inc. and SuperVillain Studios, both located in the USA, to deliver this wide range of games for the new generation of TRON titles. Propaganda’s other new title, Pirates of the Caribbean: Armada of the Damned (2011) is an epic action-role playing game that lets players decide what type of pirate legend they want to become. Will they become Legendary, or Dreaded? 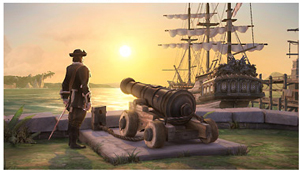 Set before the blockbuster films, the game is a deep action-RPG that lets players carve out their own story in the Pirates of the Caribbean universe. In development for the PS3, Xbox 360 and the PC, Armada of the Damned casts players off on a journey where they will encounter numerous memorable characters, both original and familiar. Transgaming has just announced that new titles for the Mac are now available at GameTree – Disney fans can now pick up Toy Story 3 and Disney Princess Enchanted Journey at GameTree Online for $29.99 and $21.99 respectively. Here is a look at the E3 2010 trailer for Warhammer 40K: Space Marine, coming to the 360 from Relic Entertainment. A new 3D version of Assassin’s Creed will be released by Ubisoft for the just-announced Nintendo 3DS. Ubisoft has also announced that the following titles will be available when the new handheld units go on sale: Hollywood 61; Battle of Giants™: Dinosaur Strike; Driver® Renegade; Assassin’s Creed™ Lost Legacy; Tom Clancy’s Splinter Cell Chaos Theory™ and Tom Clancy’s Ghost Recon™. * Hollywood 61 (code name): Live the thrill of mastering tailor-made mind games and become the obsession of a criminal mastermind in the first interactive 3D movie. Solve the deadly mystery with 150 classic and 3D puzzles. * Battle of Giants™: Dinosaur Strike: 150 million years ago, Nature’s fury was unleashed, forcing Dinosaurs to fight for their survival. Dive into spectacular battles and deal powerful blows to your worst enemies. Master your fierce dinosaur and rule the cataclysmic Jurassic world! * Driver® Renegade: The first and exclusive action driving game on Nintendo 3DS that lets you experience the intensity of urban car chases. As former cop John Tanner, you work outside the law to fight crime in the gritty streets of New York and defeat the 5 crime lords who own the city. * Tom Clancy’s Splinter Cell Chaos Theory™: Sam Fisher, the renowned secret agent is back in this redesigned version of Tom Clancy’s Splinter Cell Chaos Theory. Experience one of the most acclaimed games in the Splinter Cell franchise for the first time in 3D. * Tom Clancy’s Ghost Recon™: Lead the Ghosts, the most elite special forces unit in the US Army, across multiple tactical missions to prevent a war from breaking out. * Assassin’s Creed™ Lost Legacy: Driven by curiosity and a desire to understand the origins of his Order, Ezio Auditore travels East in search of the lost castle at Masyaf, the ancient seat of the Assassins.